Reward yourself here in beautiful Bellevue. Find exceptional living in Bellevue from waterfront estate to suburban rambler to hill-top custom home to high-rise downtown condominium. 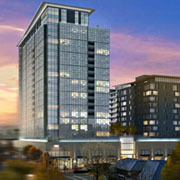 Bellevue, recently named the Best Place to Live & Launch a Business, offers homes for every size family at any stage in life. 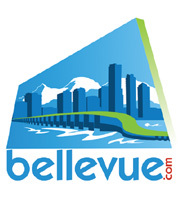 Realize your dream and find your perfect home in Bellevue with our Bellevue.com Real Estate & Homes Guide. 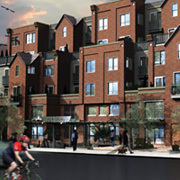 >> The perfect slice of urban life. Picture yourself here! With over 10 years experience in Real Estate, my mission is to provide you with the highest level of service possible. I look forward to being a resource to you and your family for a lifetime. Location, Location, Location! Are you looking for professional representation in the purchase or sale of a home? I'm committed to making your buying or selling experience as easy for you as possible. Located amidst Bellevue's bustling Downtown, Park Metro's charming architectural details combined with modern interiors create perfect harmony in this intimate community across the street from parks, bakeries and countless cafes. 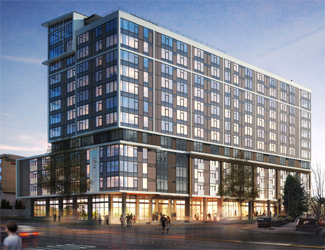 One block from Bellevue Square, at the corner of 10th and Everything, you will be just steps from the top shopping, dining and entertainment in the Pacific Northwest. Meydenbauer Bay waterfront home with front row seats to the views of Lk Washington & Seattle skyline. Entertain in the dining & living room as you watch the sunset. Private dock with boat lift & seaplane lift. A Restful Retreat on Hunts Point. Located on West Bellevue's most coveted street. A formal dining & living room w/ grand fireplace & natural light. Spacious kitchen pairs stone w/ stainless steel. 3 bedrooms, office & den complete the lower level. Luxury high-rise condo in the heart of downtown Bellevue with professionally staffed spa, fitness center, concierge, and elegant community room for meetings and social events. 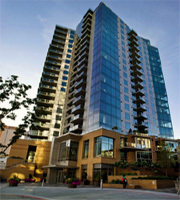 Amazing downtown living w/ stunning view of Mt Rainier, the Cascades and Olympic Mountains and Lk Washington. Center stage Le Cordon Bleu kitchen. 3 parking spaces. Washingtons's largest independent real estate company has dedicated professionals ready to assist in Buying or Selling in all eastside neighborhoods. We are a leading purveyor of real estate in the beautiful Pacific Northwest, with a special emphasis on luxury, unique and extraordinary properties. 6BD/6BA - 8,790+SF, Overflowing with impeccable craftsmanship and richly hued Olympic Mountain, downtown Seattle and Puget Sound views at every turn. 6BD/3BA Full - 4,221SF, Extraordinary Yarrow Point waterfront home with eastern exposure and 180 degree views situated on 94 feet of lake frontage. 5BD/4.5BA - 5,940+SF, Modern Fusion serene retreat w/ a global vibe anchored by alluring views of the skyline, lake & mountains. 3BD/3.75BA - 3,444+SF, Across from Downtown Bellevue Park and Bellevue Square with city view, Walk to Old Bellevue and Main Street, Grand piano living room.